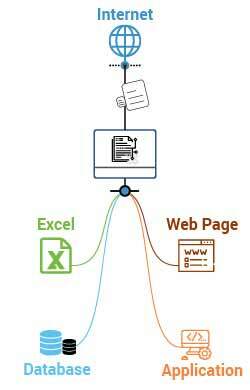 HabileData provides reliable, quick, and accurate web scraping and data extraction services at competitive rates. With help of customized bots / spiders, we automate web scraping data collection for our customers ranging from startups to massive Fortune 50 companies and everything in between. HabileData: Crawl the web at scale for extracting & scraping all type of information YOU NEED! Our web scraping services are designed specifically to empower companies by taking unstructured data from internet and turning it into structured data ready for consumption. Our specifically engineered web scraping solutions ranging from crawling to scraping, extracting to formatting to exporting; are designed to gather, monitor and distribute business information efficiently without proxy management, efforts to learn programming, IP rotation or ban tracking. Our focused extraction and scraping solutions addresses your specific requirements such as gather sales leads, competitor's product details, new offers, pricing methodologies, and various other types of data from the network. With a tech-enabled approach; we provide high-end web scraping services; by extracting information from various sources like HTML and other websites, pdfs, social media sites, local listing, wiki, ecommerce portals, blogs, podcasts, and along with other online resources such as directories, reviews, product description and much more. We also convert the extracted data into structured and easy-to-comprehend formats like excel, csv, database, application, SQL, XML, oracle etc. Utilizing various automated web scraping tools, accompanied by highly skilled team of web programmers, web researchers and data analysts; we collect and thoroughly analyze the information; as per the specific demand of our global clients.